RESULTS: Nearly 1300 children die and 5790 are treated for gunshot wounds each year. The shooter playing with a gun was the most common circumstance surrounding unintentional firearm deaths of both younger and older children. Sorry you shitheads who made the video… 1300 is NOT 2920, and “the shooting playing with a gun” can’t be considered “gun violence” by any stretch of the imagination. 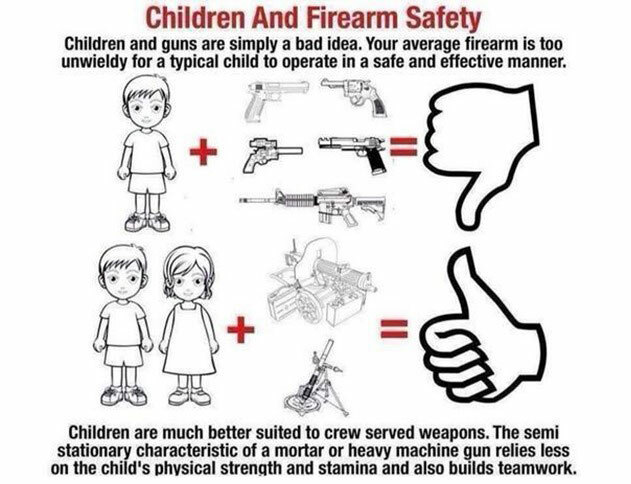 Another anti-gun group (the Brady Campaign) comes up with the number of 4 kids being murdered every day, which is a lot closer to the 1300 per year stat anyways. 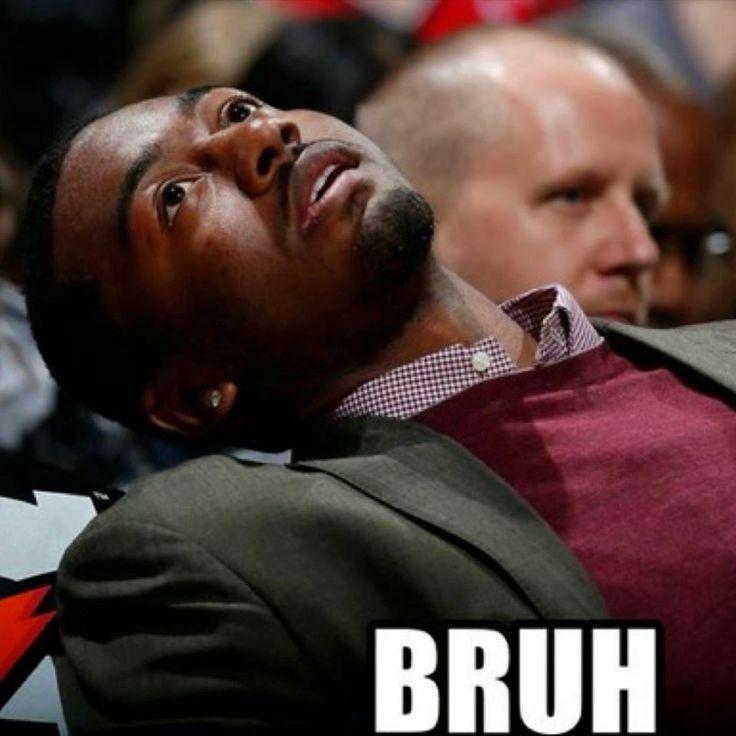 I don’t see how embellishing facts or redefining gun violence could possibly help their cause in the long term. 2:54 – I had no idea it was even legal for 11 year olds to shoot handguns with other kids in Canada, much less draw from a holster while laying on her back. I know the video description says the dad was present. 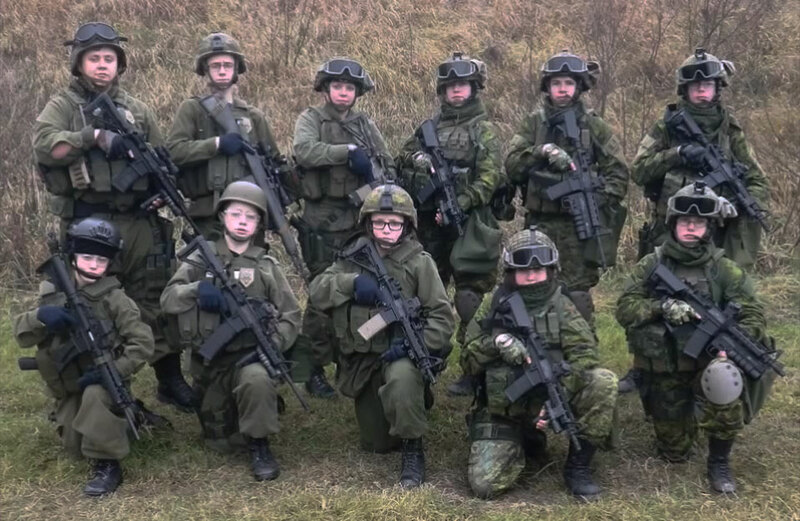 4:23 – The tradition in their family on a kid’s 11th birthday is to get everything they need for their new Plate Carrier. That’s legit. 35:34 – That was “Training” that you just witnessed those kids doing (according to her). 48:27 – Holy… robots live! LOL at the gear and the scans too, wow. So there you have it… if you made it though the whole thing that’s the organized kid militia of Five 56 Concepts out of Canada. Even if you didn’t like the video you have to respect the fact this is a school project haha. Pretty chilled out school, wow. Must be deep in rural Alberta. I can’t imagine any city schools anywhere being totally cool with this. Honestly I don’t know what the hell I just watched / skipped through. Just because you have a gun in your hand and are doing anything at all… it doesn’t count as training. The post-engagement derp scanning was on point haha. If they are having fun and staying safe I suppose no harm done. 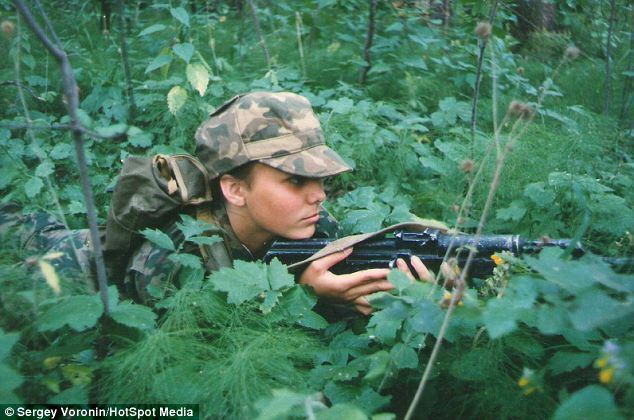 The main girl mentioned at some point in the video about being in some sort of cadets training. I probably missed a lot of parts I could have talked about… if anyone has any good ones to add be sure to let me know in the comments. Teamwork is so crucial. Gotta start them young or else they will be dipshits as adults. 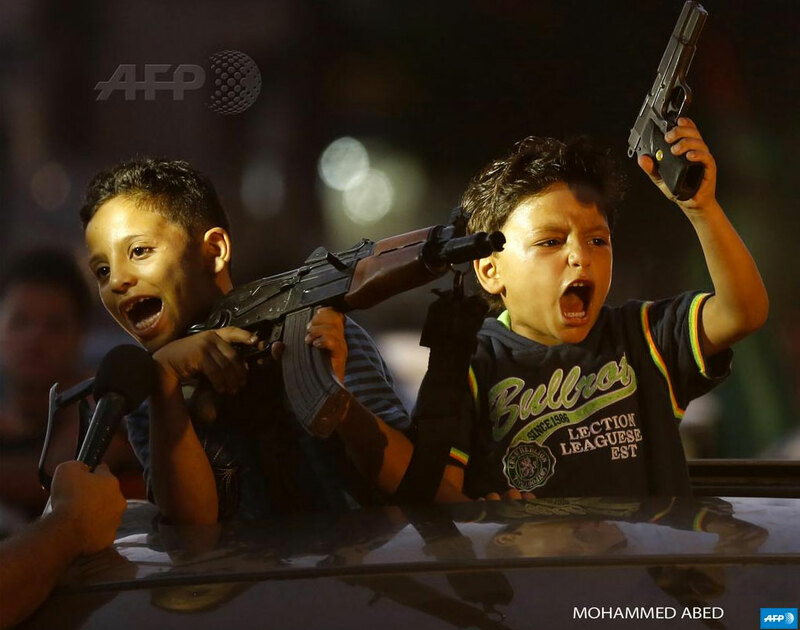 Children hold up guns (one with an empty magazine) as Palestinians in Gaza City celebrate the ceasefire with Israel. Source – Agence France-Presse Twitter. INGO (Indiana Gun Owners) is a cool forum who are very active in the community, and have always supported ENDO right from the beginning. Those guys will always be good with me. This video just goes to show how awesome they are. Nice to see a good mix of girls there too. I guess in 2014 I maybe shouldn’t be surprised, but I grew up in a time where girls just weren’t into stuff like that. Nice to see things have changed. 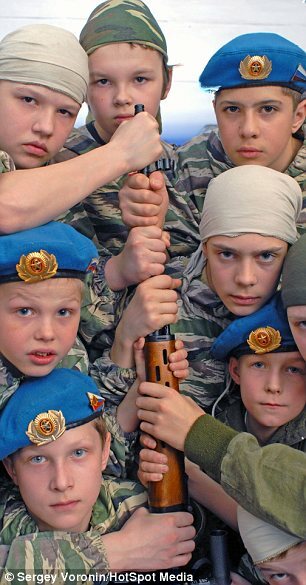 Children as young a five are sent on forced marches, given battlefield training, taught hand to hand combat, and how to use military equipment. 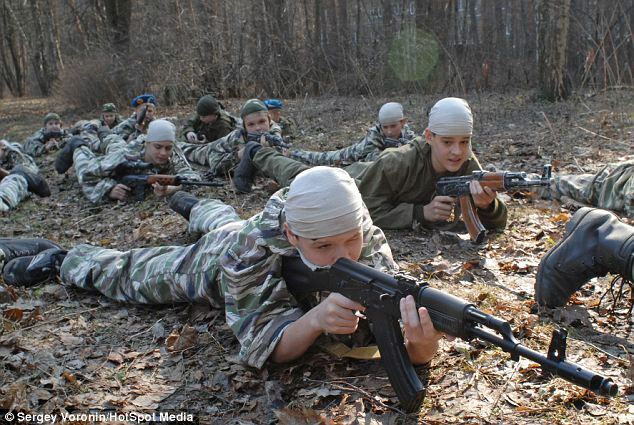 12 year olds are also taught how to fire Kalashnikov assault rifles and other small arms. During the clubs regular camps, some children are given the opportunity to parachute jump during their paratrooper training. The club appears to urge Russian parents not to wait until their child becomes a compulsive gambler, drug addict or alcoholic, before sending them to the club. They’ll probably all grow up to be bloodthirsty murders though right? Oh wait they won’t. It’s good to see girls involved. I find it interesting the part about urging Russian parents to send their kids to this camp before they grow up to be compulsive gamblers, drug addicts, or alcoholics. Are those issues that huge in Russia, more so than in the US? In a few of the pictures it looks like the AK’s are actually cast replicas, I could be wrong though. What type of handgun is in picture #1 if you follow the link? Some type of training one?